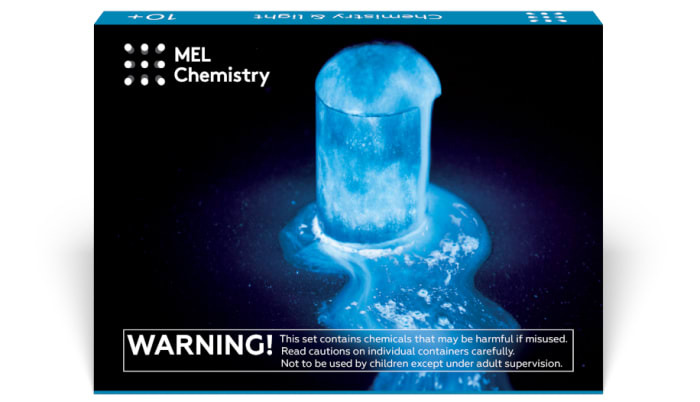 This experiment is included into "Chemistry & light" kit along with "Luminol volcano". Subscribe and get everything you need to do this experiments at home. I don’t see the luminol glowing. What went wrong? If you followed the instructions carefully, this is likely because your room isn’t dark enough. You need near-complete darkness for the best experience. For example, you can conduct the final part of this experiment in a bathroom with all the lights off. Of course, be careful in the darkness and don’t rush! What if I add more luminol than indicated in the instructions? In general, the more luminol you add, the brighter the solution will glow. On the other hand, the glow will fade faster. Why do we need to conduct the final part of the experiment in darkness? The dark atmosphere makes the result of the experiment that much more spectacular. In light conditions, it will be harder to see the glow. How long will the solution glow? This actually depends heavily on external conditions like temperature and reagent concentrations. In our case, the luminol glows best for about 30 seconds, then gradually fades away. 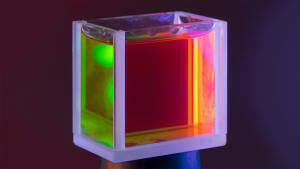 What happens to the solution after it stops glowing? You might notice that even when the glow dies down, other reactions are still taking place in the flask. Some bubbles appear and the solution gradually pales. Hydrogen peroxide actually decomposes in the presence of iron ions, yielding oxygen gas that forms bubbles in the solution. The solution color changes slightly due to some side processes, mostly decomposition of the reagents we added. 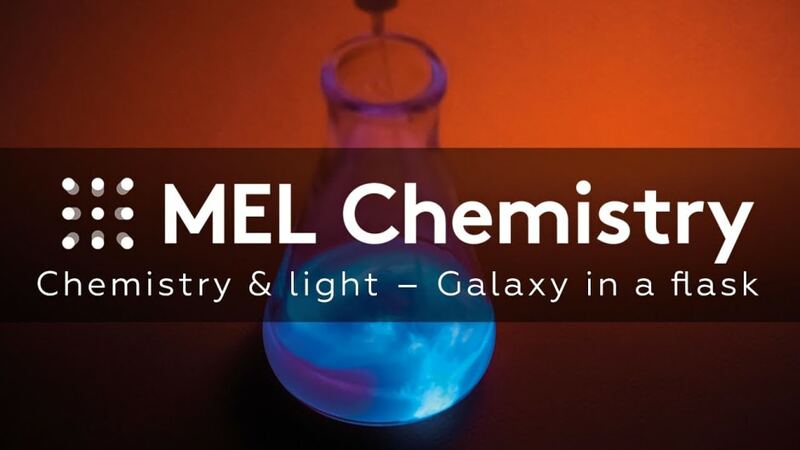 Luminol glows in a basic medium. 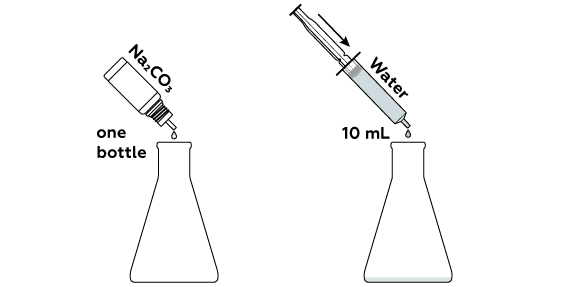 To create this medium, pour sodium carbonate Na2CO3 into the flask. Add luminol and hydrogen peroxide H2O2 to the flask. Hydrogen peroxide is also necessary to make the luminol glow. Potassium hexacyanoferrate(III) K3[Fe(CN)6] initiates the luminol oxidation reaction, which causes the luminol to glow. Potassium hexacyanoferrite K3[Fe(CN)6] helps hydrogen peroxide H2O2 to oxidize luminol. The latter, being oxidized, glows in the dark. Pour solutions down the sink. Wash away with an excess of water. 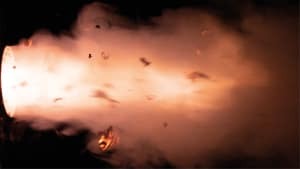 Why does the solution in the flask start glowing? Luminol is a rather unusual substance. Under certain conditions, it can glow brightly enough to be seen in the dark. In fact, luminol is oxidized (donates its electrons to other substances) in a rather particular way. This oxidation can only happen if a solution includes a certain set of reagents. The moment K3[Fe(CN)6] is added to the solution with the other required components, all the conditions are met for the reaction, and we see a beautiful blue glow. Now let's examine the roles of each reactant and see how the reaction proceeds. There are four reactants in total: luminol itself, potassium hexacyanoferrate K3[Fe(CN)6], hydrogen peroxide H2O2, and sodium carbonate Na2CO3. What is potassium hexacyanoferrate? What is its role in the reaction? Potassium hexacyanoferrate, or red prussiate of potash, is a complex compound containing iron. It gets its name from an iron-containing inorganic pigment – Prussian blue – that can be synthesized from it. The ability of the iron atom to transfer a single electron drives the success of potassium hexacyanoferrate in luminol oxidation. Moreover, the same process with iron atom helps hydrogen peroxide decompose. You can read more about this process in the text about hydrogen peroxide. What does potassium hexacyanoferrate look like? Each molecule of potassium hexacyanoferrate consists of an iron atom surrounded by cyanide fragments CN-, each of which carries a negative charge. Iron Fe3+ and cyanide fragments (the latter also known as cyanide ions) can exist separately in a solution. But as a part of potassium hexacyanoferrate, this particle is called a complex. Even though an iron atom serves as the central core of a hexacyanoferrate fragment and therefore determines its properties, the surrounding fragments are also very important and significantly affect iron’s ability to accept an electron. In addition to the aforementioned particles, potassium hexacyanoferrate also contains potassium cations K+. 4) “potassium,” naturally, refers to the presence of potassium. What is the role of hydrogen peroxide? Since luminol is oxidized, there must be an oxidizing agent. In this case, this role is played by hydrogen peroxide H2O2. This substance is known for its oxidizing properties which led to its application as a bleaching, disinfecting and (unsurprisingly) oxidative agent. Its 3% aqueous solution is usually included in first-aid kits. Disinfection and luminol oxidation by hydrogen peroxide H2O2 actually have much in common. When applied to a wound, hydrogen peroxide oxidizes substances that are part of microbes, killing the microbes. Iron found in the blood contributes to this process. 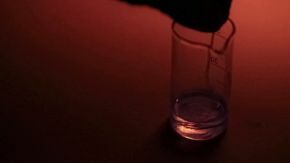 Something similar happens in our reaction, where potassium hexacyanoferrate and hydrogen peroxide work together to oxidize luminol. And hydrogen peroxide H2O2 gives this electron, transforming into a very reactive particle called a radical. When it meets a luminol molecule, it oxidizes said molecule by way of a complicated intermedial reaction. Somewhere amidst these processes, a single electron must be transferred. Potassium hexacyanoferrate sees to this, taking this electron away. To summarize, hydrogen peroxide oxidizes luminol. And as a result, the luminol glows! Oxygen is present in hydrogen peroxide H2O2 in its unusual O–1 form. In most oxygen-containing compounds (for example, water), oxygen prefers its O–2 form. The O–1 form is unusual and uncomfortable for oxygen. As a result, hydrogen peroxide is a very active and convenient oxidizer. Moreover, following a reaction, it is converted into water H2O. What is sodium carbonate needed for? 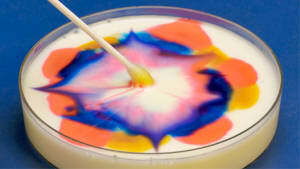 A chemical process is somewhat similar to a painting of an ingenious artist. Even though the main faces and objects depicted in the foreground are quite important, the right background is essential as well. For many chemical processes occurring in water, such an essential background is created by the environment of reactants – the surrounding particles present in water. In short, luminol oxidation, which ultimately leads to luminescence (what we call this type of glow), occurs only in an alkaline environment. This environment is created using sodium carbonate Na2CO3. Moreover, hydrogen peroxide decomposes the way we need it to in alkaline conditions. And actually, luminol doesn’t dissolve well in water without an alkaline environment. What does alkaline conditions mean? These are called hydrogen ions H+ and hydroxide ions OH–, respectively. Hydrogen and hydroxide ions are critical to many processes that occur in aqueous solutions. In pure water, these two ion types are present in an equal amount. In this case, we usually call a solution neutral (pH=7). If you add an acid (for example, HCl → H+ + Cl–) to water, the positive H+ ions will gain the upper hand, making the solution acidic (pH<7). And if you add an alkali (for example, NaOH → Na+ + OH–), the negative OH– ions will dominate, making the solution alkaline (pH>7). Interestingly, we can even feel an excess of certain ions in an aqueous solution. The sour taste of lemon juice alerts us to an abundance of hydrogen ions H+; in general, our tongue literally feels these ions. Hydroxide ions are trickier: they react with our skin in a specific way, making it soapy. A soap produces the same effect because its aqueous solution contains an abundance of hydroxide ions OH–. Hydrolysis: how does sodium carbonate create alkaline conditions? Wait a minute – sodium carbonate Na2CO3 is not an alkali! For reference, sodium hydroxide and potassium hydroxide are alkalis: they contain hydroxide ions OH– and create an alkaline environment when dissolved in water. 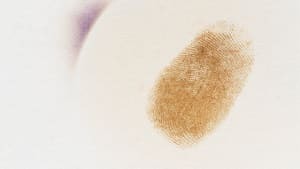 Nevertheless, a thorough analysis of sodium carbonate aqueous solution will indicate the presence of hydroxide ions OH–. This process is called “hydrolysis” because it involves water molecules (from the Greek hydro, meaning “water”) and breaks carbonate ions into other ions (from the Greek lysis, meaning “decomposition”). Is there a good substitute for potassium hexacyanoferrate? We can use other compounds that can accept and donate one electron in place of a compound containing iron in the Fe3+ form. Such compounds include, for example, copper sulfate CuSO4, potassium permanganate KMnO4, and potassium iodate KIO3. How does the luminol actually glow? During the oxidation process, a luminol molecule transforms into an ion with the complicated name "3-aminohydrophthalate". Importantly, this ion is in its excited state, meaning it is left with excess energy after the reaction. Because of its structure, this ion prefers to release this energy in the form of light – small particles called photons that we can easily see. Note that this method of “blowing off some steam” after the reaction is characteristic of certain cases only. That is why a luminol oxidation reaction is so interesting and unusual. In the majority of such reactions, excess energy is dispersed through the collisions of excited molecules with their environment. In fact, there are two prussiates of potash: red K3[Fe(CN)6] and yellow K4[Fe(CN)6]. To avoid confusion, you can use a simple mnemonic technique. Gold is yellow, isn’t it? There are 4 letters in the word “gold,” just as there are 4 atoms of potassium K in yellow prussiate of potash K4[Fe(CN)6]. On the contrary, the word “red” consists of 3 letters, and there are 3 atoms of potassium K in red prussiate of potash K3[Fe(CN)6]. Common names for these compounds came from the fact that earlier one of them, yellow prussiate of potash (yellow blood salt, or blutsalt in German), was synthesized from the mixture of slaughterhouse waste (including blood) with potash (sodium carbonate K2CO3), and iron filings. Together with yellow color of the crystals, it resulted in such a name for K4[Fe(CN)6]. In 1822, a German chemist Leopold Gmelin obtained the second compound, red prussiate of potash salt, via oxidation of yellow blood salt. Since it formed red crystals, the compound received such a name.